Most countries negotiating ACTA have already signed it, as well as most EU Member States (Cyprus, Estonia, Germany, the Netherlands and Slovakia have not signed ; Latvia, Poland, Czech Republic, Slovakia and Bulgaria have signed but supended ratification). 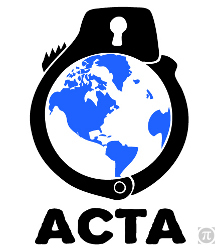 But ACTA still needs to be presented to the European Parliament (EP) and if the European Parliament votes NO to ACTA and rejects it, this would be a likely fatal blow to the agreement. Before ACTA goes to vote before the whole of the European Parliament, several EP committees will be giving their opinion on the text, guiding the EP's final stance on ACTA. This is why as citizens we must contact members of these committees to make sure they hear all about what is wrong with ACTA. The International Trade INTA Committee of the European Parliament is the main committee working on ACTA. The Industry (ITRE), Civil Liberties (LIBE), Legal Affairs (JURI), and Development (DEVE) committees are also working on ACTA. They will first vote on their opinions after holding “exchange of views” on draft reports in the coming weeks. Opinions will then be sent to INTA to influence its final report. Finally, INTA will sent this final report to the European Parliament, which will take it into account for its final vote on ACTA. The contents of INTA's report are therefore very important, and we need to make sure it reflects European citizens' legitimate concern about ACTA. For more detailed information about the ACTA procedure in the European system, please see the procedure file. This page was last edited on 9 April 2012, at 19:38.